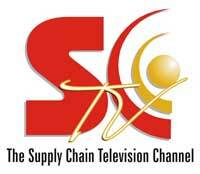 Supply Chain Video Newsmakers Video: Is it Time Now for Continuous Supply Chain Planning? Is it Time Now for Continuous Supply Chain Planning? The concept has been around for awhile, but the practice of continuous supply chain planning just now seems to be gaining some momentum. But what does continuous planning really mean, and how does it differ from traditional planning cycles? Other questions include what benefits are achieved from continuous planning – and is there a risk that as a byproduct supply chains become too twitchy? Finally, how much of the move to continuous planning is about technology versus people and process? A great person to address all these issues and more is Karin Bursa, long time head of marketing at software firm Logility. She discusses continuous supply chain planning in an interview with SCDigest editor Dan Gilmore in this Supply Chain Newsmakers Video, an excerpt from our weekly Supply Chain Video News from our Supply Chain Television Channel and CSCMP.